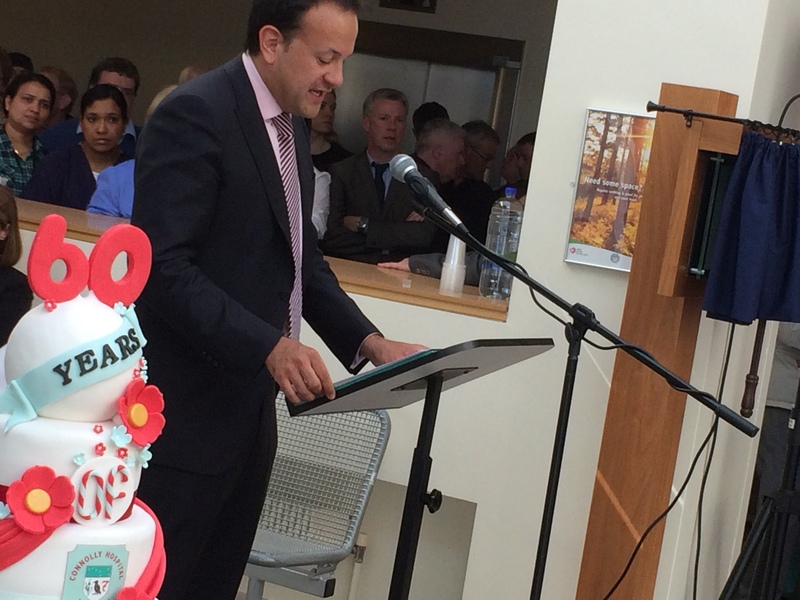 Connolly Hospital Blanchardstown today marked its 60th anniversary with a special event attended by Minister for Health Leo Varadkar. 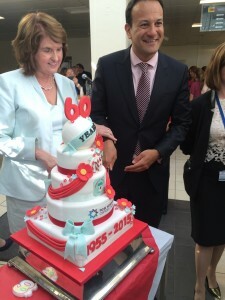 The Tanaiste was also present at the event. James Connolly Hospital first opened in 1955 as a regional sanatorium to help tackle the tuberculosis (TB) epidemic. In keeping with the concept of isolating TB patients, the sanatorium was composed of a large number of separate units set in rural parkland. It became a General Hospital in 1971 in line with the Fitzgerald Report. 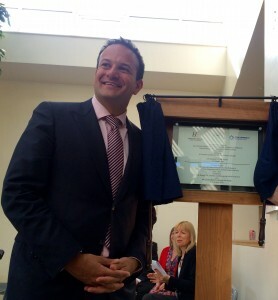 In 2005, the new hospital building was officially opened and renamed, Connolly Hospital Blanchardstown. Today, Connolly is a Level 3 hospital within the Royal College of Surgeons in Ireland (RCSI) Hospital Group. It provides emergency (ED), medical, surgical, residential care, day care, outpatient, diagnostic, clinical therapies and support services to a catchment population of 331,000. Currently, there are 351 beds in Connolly; 224 acute beds, 53 day case-beds, and 74 non-acute beds. In terms of activity, the hospital is treating more patients than ever; there were 33,665 ED patient presentations in 2014 compared to 32,638 in 2013. A number of major developments have been completed at the hospital in recent years, including the opening of the Endoscopy Unit in 2011 and the refurbishment of the Acute Medical Assessment Unit (AMAU) and opening of the new MRI facility in 2014. Work is also currently underway to provide additional services at the hospital. 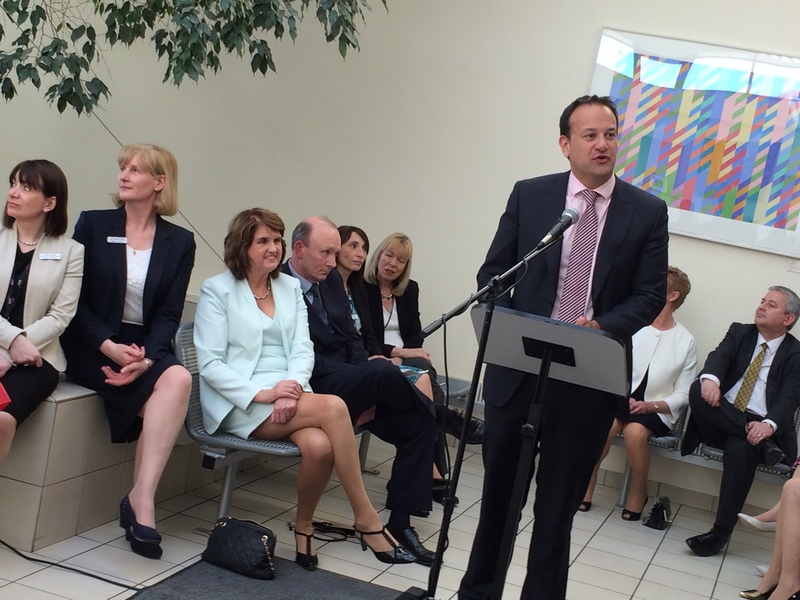 These include: a urology service, a new radiology unit and the scoping of a 100-bed Community Nursing Unit. Connolly Hospital is also one of the sites selected for the development of the new National Children’s Hospital Satellite Centre. The RCSI Hospital Group is comprised of Beaumont, Our Lady of Lourdes, Cavan General, the Rotunda, Louth County, Monaghan and Connolly Hospitals. These hospitals will work together as a single cohesive unit to improve health outcomes, access to services and safety for patients. The Group will also work together to drive innovation and research for staff. A number of staff events have been planned as part of the overall birthday celebrations which include: On 15th May there will be a music night at which “Connolly Sounds” will perform. Connolly Sounds are a group of musicians who are all staff from the hospital that have been brought together to perform at the music night. The Castleknock 5K run which takes place in June will be in aid of the Blanchardstown Hospital Society. In June/July there will be a further musical event at which Blanchardstown Brass Band will perform and plans are being put in place to hold a ‘Hospital History Show’ in November which will include a video of the history of Connolly Hospital from when it first opened in 1955 to date, this will be displayed through music, song and narrative. In May 1948, Minister for Health Noel Browne spoke of the tuberculosis (TB) epidemic which was responsible for more than half the deaths of 25 to 35 year olds. Minister Noel Browne stated that he was “faced with a waiting list of over a thousand patients” waiting for treatment in a sanatoria. It is against this background that Sanatoria were set up. Tom O’Higgins was Minister for Health when James Connolly Hospital in 1955 but the plans to build the sanitoria were initially advanced by the former Minister for Health, Noel Browne. In 1948, Sisk Builders were awarded Ireland’s first million pound building contract for the building of sanatoria in Blanchardstown, Galway and Cork. James Connolly Memorial Hospital was built on land at an overall cost of one and half million pounds, and this was obtained by Compulsory Purchase Order from Baron Holmpatrick of Abbotstown House. The Hospital Sweepstakes funded the new sanatoria. The design of a sanatorium was based on the concept of isolating TB patients, and this was the only treatment prior to the use of the BCG vaccine. The sanatorium’s aim was to “reduce danger” by separating the “infected from the healthy” and to provide a “programme to cure”. The programme included rest, nutritious food and fresh air. Additionally, there was a huge stigma attached to TB and a fear of contagion. When James Connolly opened in 1955, it served as a regional TB sanatorium and was composed of a large numbers of separate units set in rural parkland development. The hospital provided care for 530 patients. The first 220 patients came from the Old Rialto Hospital. In 1956, staff and patients transferred from Crooksling and Ballyowen (functioning TB hospitals). In 1963/4, 60 patients transferred from St Ita’s in Portrane. In 1968, 40 patients were transferred from Grangegorman following a fire. The last unit was built in 1960. By the 1970’s, the remaining TB patients were transferred to Peamont. The decline in TB led to beds being used for “geriatric” care. In March 1971, James Connolly Memorial Hospital was established as a General Hospital in line with the Fitzgerald Report. A Board of Management was established to run the hospital. In 1971, Hospital 2 and 3 were used for general surgical, and Hospital 1 was retained for Thoracic surgery. In November 1971, major reconstruction work began with new operating theatres constructed and an outpatients department was established. On 1 August, 1973, James Connolly was officially opened as a General Hospital by Brendan Corish, Tánaiste and Minister for Health and Social Welfare. In 1979, emergency hospital services were introduced. In 1987, the hospital changed from a Voluntary to a Health Board Hospital. In 2004, the significant major capital construction of the new hospital building was completed with a bed compliment of approximately 400 beds (including acute psychiatry). On the 20th January 2005, the hospital was officially opened and renamed by the Minister Brian Lenihan. From 2005 to date, the hospital is referred to as Connolly Hospital Blanchardstown (CHB). In 2009, the first part of the renovations to the old Surgical Wing was completed, and the Care of Older Adult services were relocated. 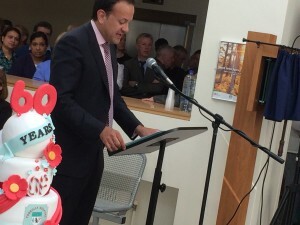 The second part of the renovations was completed in 2011, and the Endoscopy Unit was opened by the Minister of Health Dr James Reilly, on 3rd October 2011. On 23rd July 2014, the new Magnetic Resonance Imaging (MRI) and the refurbished Acute Medical Assessment Unit (AMAU) were opened by the Tánaiste, Ms. Joan Burton and the Minister for Health Mr. Leo Varadkar. In 2014, major capital work began on buildings and equipment required for the new benign urology service to be based in the hospital. In 2015, work has commenced on the major radiology and scoping of the new 100 bedded Community Nursing Unit capital development projects.